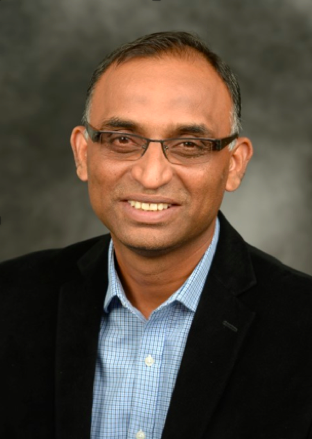 Dr. Rashid Ahmed is the Associate Dean of Research and Associate Professor in the College of Nursing at the University of North Dakota. Dr. Ahmed is also working as an Associate Professor with the Max Rady College of Medicine at the University of Manitoba in the Department of Community Health Sciences. Dr. Ahmed's background is in epidemiology and biostatistics. He has experience in the development of statistical methods for the design of community-based interventions and the analysis of longitudinal health data. Dr. Ahmed is the principal applicant (n=2) and co-investigator (n=3) on going mixed-methods research studies that bridge a number of academic disciplines and health related issues including physical activity among breast cancer survivors, tobacco use among youth, lifestyle risk factors for cardiac and other chronic disease among youth, gender differences in lung cancer survival, and economic analysis of treatment of lung cancer. From methodological perspective, Dr. Ahmed is developing diagnostic measures for joint models for longitudinal and survival data in the presence of non-ignorable missing data. Often, cancer trials/eating disorder involve studies of the association between longitudinal markers and clinical outcome such as relapse-free survival or death, using joint models for the longitudinal data and time-to-event outcome. Due to the complex nature of trials, data are usually missing at non-random. In order to validate the diagnostic measure with missing data, Dr. Ahmed is developing models such as pattern mixture and selection models. Dr. Ahmed's expertise also includes cost benefit analysis, cost effectiveness, survival modeling, spatial modeling, random effects models, and simple and multivariate regression analysis.